Dream It, We Build It. Using Cloud Speech-to-Text and Cloud Vision, Ananda Development created a property transfer application for mobile devices to automate and streamline condominium inspections. 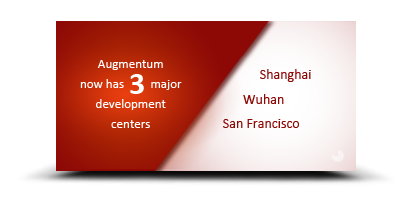 Augmentum, Inc. and Gao Feng Advisory Company enter into a strategic alliance in forming a Blockchain Innovation Lab and Competency Center in China and Silicon Valley, California. 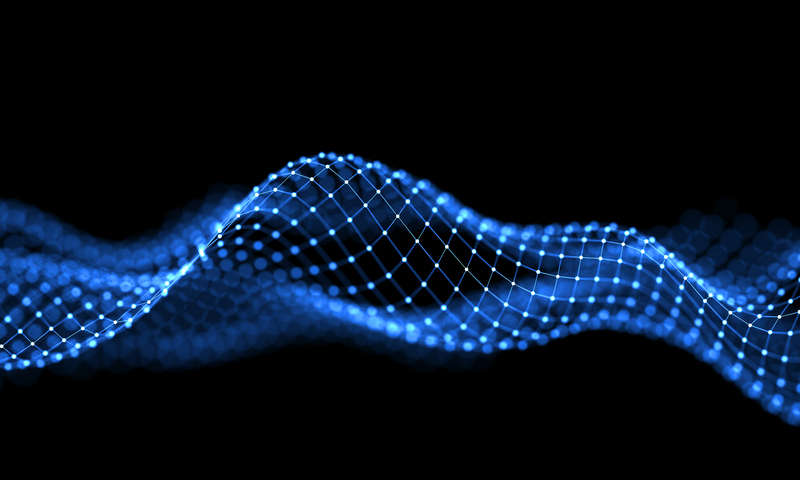 Blockchain, a cryptographic distributed ledger, has the promises of addressing some of the key business imperatives of an enterprise digital transformation process - Identity, Security and Trust. Digitally transformed leading emergency response system to next generation mobile enterprise solution. Combines mobile, analytics and cloud to realize the XRS vision of Trucking Intelligence. We provide value-added software development and solution implementation services to companies worldwide. Cross leveraging best practices and domain knowledge, utilizing leading development tools and technologies, we believe what we offer is quite unique in today’s market with world-class commercial quality – AUGMENTATION SERVICES®. 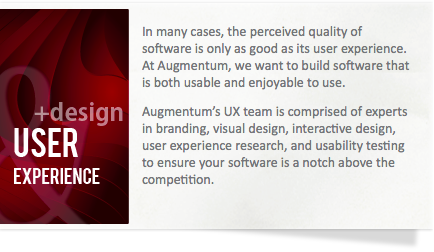 The innovative approach employed by Augmentum in delivering solutions will help reshape the standard of software for the industry." "The board loved it. One of the few questions asked was which other casino has such technology. JD and I answered that we are peerless at this point. 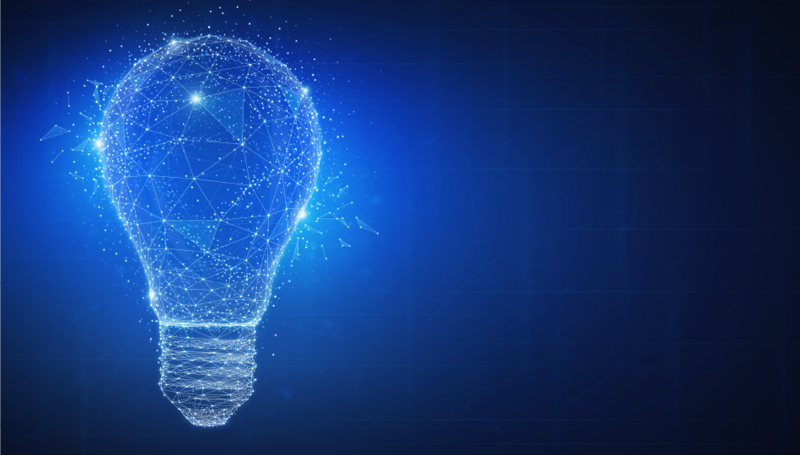 When we formed Augmentum, we had an ambitious goal – to transform the very idea of what is possible for distributed software teams spread across the globe. Thanks to a fusion of Silicon Valley savvy, tremendously supportive customers, and the incredible growth in China – we’re on track to deliver what we set out to do. We strive to deliver more than working software based on specs. Our mantra is to deliver the absolute best in customer experience and time-to-value solutions. Our customers work with real people – people who understand your business problems and people who can help you to ideate, visualize, and implement a solution. We invite you to peruse this site to learn more about us and see some of the great software experiences we have delivered for our clients. Seamless Extension of Your Team – Never worry about scaling, training, and management overhead again. We Work the Way You Work – Whether it’s agile or CMMI, we can either adopt the methodology or processes of your organization, or suggest one that is suitable for your project. Client Involvement and Rapid Value – We engage clients during ideation, strategy, design, and implementation phases, and can quickly prototype to keep stakeholders involved from the very beginning.